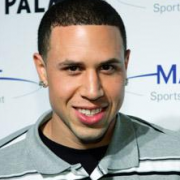 Contact AthleteSpeakers today at 800-916-6008 to book Kevin Martin for a keynote speech, corporate appearance, grand opening, autograph signing, product announcement, moderated Q&A or for an exclusive meet and greet. The booking agents at AthleteSpeakers work on your behalf to get you the best price for your desired sports celebrity. AthleteSpeakers has built very close direct relationships over the years with top athletes, agents, publicists and managers. We specialize in assisting small, medium, and large companies as well as event planners with booking athletes like Kevin Martin for speaking engagements and appearances at trade shows, golf outings, casinos, conferences, conventions, and corporate events. For years, companies have turned to AthleteSpeakers to get Kevin Martin's booking fee, appearance cost, and booking agent contact information. 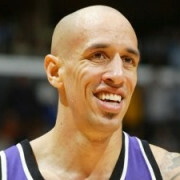 Kevin Martin is a former Ohio Mr. Basketball and starred at Western Carolina from 2001 to 2004 before joining the Sacramento Kings in 2004 as their first round pick. At Western Carolina he notched 1,838 points in three seasons, which placed him fourth all-time in school history and set the stage for his successful career in the NBA. Over the last decade he has seen time with the Sacramento Kings, Houston Rockets, Oklahoma City Thunder and Minnesota Timberwolves and been one of the most prolific scorers in the league. In 2008-09 he scored a career high 24.6 points per game for the Sacramento Kings and has averaged over 20 points in his career five times. With a career average of 17.9 points per game he was both tough to guard and even tougher to plan for, as he used both speed and size to get to the rim. 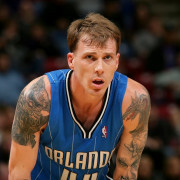 Martin has also served the community by participating in the Basketball Without Borders Program. 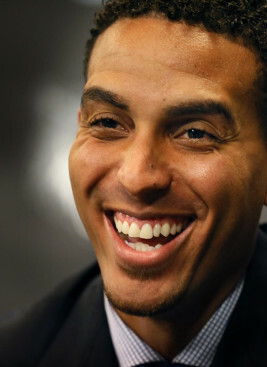 Disclaimer: AthleteSpeakers assists companies seeking to hire talent like Kevin Martin for speaking engagements, appearances, product endorsements, and business sanctions. Our speakers bureau does not claim to exclusively represent Kevin Martin. Our booking agency can help with finding an athlete or sports celebrity that aligns with your upcoming events date, location, and budget. When an organization request booking details for a celebrity like Kevin Martin, we work closely with the client to make sure the proposed dates does not interfere with the requested athletes schedule. We then confirm the sports celebrity fee based on the details of the request. The fees listed on the speaker profile are rough estimates based on the previous market rate for the talent. Our team then works with Kevin Martin's agent, manager or assistant on the booking request. For parties interested in hiring Kevin Martin, we recommend filling out the booking request form so our booking agents can help with making your next event a success.